We are very proud of our two fabulous CDs that were produced to mark significant anniversaries. The Cyrenes' first recording experience took place in 1990, with the recording of Sin Nje Nje on the 2XX compilation album We're Not Square. 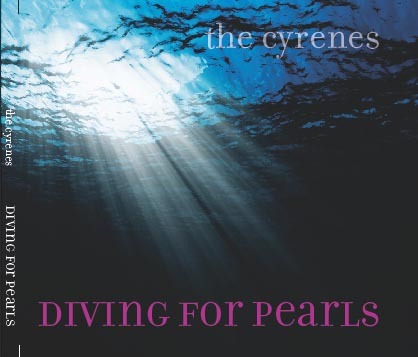 Over the following years several Cyrenes' demonstration audio tapes and cassette tapes of live concerts were produced. 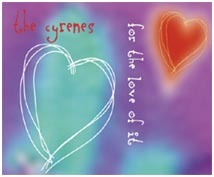 Our first CD, For the Love of It, was launched in October 2000. The CD shows off the impressive variety of the choir's repertoire, from slow to up-beat songs, from old to modern songs, from a cappella singing to songs with accompaniment. The album includes several original pieces written by choir members. Listen to a couple of sample songs from each CD or view our YouTube clips which feature some of the songs on our CDs. Unity (Lisa Young) The voices of women, the voices of unity. Right across the world people are singing, searching for truth, looking for peace, expressing their love. Mi Mano (Leonie Harrison) Mabelle: for her courage and inspiration. Happy Earth (Tiddas) Under threat, our beautiful earth. Speak To Me Sister (Leonie Harrison) The loving sentiments of women supporting each other in hard times echo through this song. Based on a true story set in Chile. The Lullabies (Traditional) Shh... don't wake the baby with these lullabies from Portugal, Senegal and Wales. Burning Times (Charlie Murphy) About witches, holocausts and Mother Earth. Choir members and audiences alike report tingling sensations every time we sing this powerful song. Ave Generosa (Hildegard Von Bingen) Born in 1098, Hildegard has become the most celebrated woman of her age as a visionary, naturalist, playright, poet and composer. Ave Generosa sings the praises of the Virgin Mary and is known for its sensual imagery. When the Night is Come (Kath Shaw) When the night is come you're on your own, when the day is done you’re all alone. Ultimately we are thrown back on our own resources. It pays to go within and know who you are and know what you believe in. Sing! (From the Heart) (Traditional) Be yourself and walk through life with certainty and an open heart. Sing! Love! Dance!